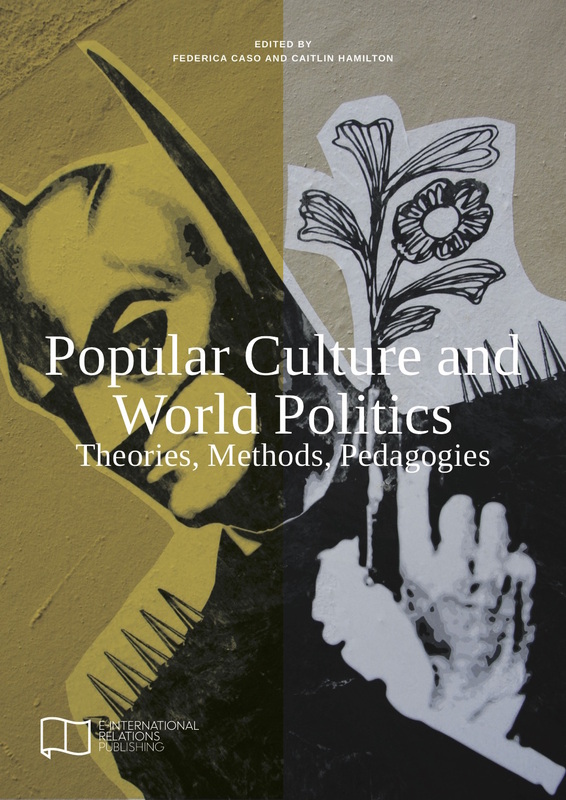 ‘Popular Culture and World Politics: Theories, Methods, Pedagogies’ an Edited Collection from E-International Relations. Available now on Amazon (UK, USA) and in all other good book stores, and via a free PDF download. This edited collection brings together cutting edge insights from a range of key thinkers working in the area of popular culture and world politics (PCWP). Offering a holistic approach to this exciting field of research, it contributes to the establishment of PCWP as a sub-discipline of International Relations. The volume opens with some theoretical considerations that ground popular culture in world politics. It then looks at different sources of popular culture and world politics, along with some of the methods we can use to study them. It concludes with a discussion about some of the implications of bringing popular culture into the classroom. Canvassing issues such as geopolitics, political identities, the War on Terror and political communication, and drawing from sources such as film, videogames, art and music, this collection is an invaluable reader for anyone interested in popular culture and world politics.